It's been over two decades since the first mobile phone networks introduced pay-as-you-go (prepaid) services; Now SAP is getting in on the act, unveiling a new consumption-based commercial model for its platform-as-a-service offering, SAP Cloud Platform, at Mobile World Congress. As well as making the payment model more attractive for businesses wanting to innovate and experiment with cloud services, it's also looking to make the mobile apps that connect to SAP Cloud Platform more attractive with an updated SDK for devices running Apple's iOS. It unveiled the SDK at Mobile World Congress last year. Although the individual actions metered by SAP's prepaid service might cost only cents or dollars -- for accessing a mobile API, say, or for an hour's compute time -- you won't be able to buy a ten-buck top-up at the supermarket checkout. 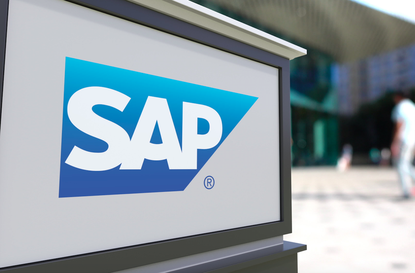 SAP wants customers to buy "cloud credits" -- US$120,000, say, paid up front -- that they can then allocate to whatever SAP Cloud Platform services they wish, day to day or month to month over the course of a year. If customers use up their prepaid allowance, they aren't cut off, just invoiced for the excess consumption. Just as with many mobile phone contracts, customers could get the same services for less by taking out a subscription, but would lose the flexibility the prepaid model offers, said SAP VP of Product Marketing, Dan Lahl. Although SAP offers cost simulators for both pricing models on its website, there's no easy way to figure out which is best for a particular scenario: Prospective customers will need to contact SAP's sales staff for a more detailed simulation. Among the services available on SAP Cloud Platform are computing power and storage; analytics; machine learning tools, and API packages for S4/HANA, Concur, SuccessFactors and more. Those APIs, and others, are now accessible from within the enhanced SDK for iOS that SAP revealed at Mobile World Congress. "We've been working with Apple on the SDK. The big idea is to take complex apps and make them render beautifully on Apple devices," Lahl said. SAP is focusing its mobile efforts on iOS rather than Android because "There's a much higher percentage of iOS in enterprise apps," he said. "Over 50 percent of enterprise usage is on iOS." There have been over 5,000 downloads of the SDK since SAP made it available at the end of January; The company reckons it has more users than that, though, as it believes large companies will have downloaded it to internal servers and redistributed it from there.